Safe for the whole family! The active components inside are derived from Earth minerals and are formulated to leave zero residues behind. Ideal for sensitive skin. Leaves no trace in our aquatic ecosystems. 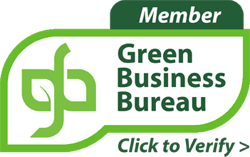 With its extensive lifespan, it also reduces packaging waste in our landfills. Biodegradable ceramics and recyclable enclosure. Don’t be fooled by cheap imitation laundry balls. SmartKlean contains only the highest quality mineral ceramics imported from Sweden and a durable enclosure free of toxins. 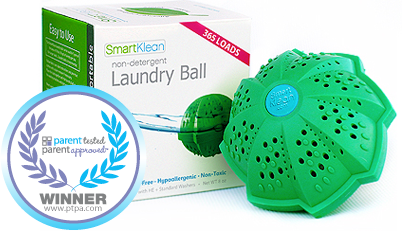 Effectively washes 365 loads of laundry without using any soap or detergents. Replaces fabric softener and dryer sheets. Helps to conserve water and energy. SmartKlean naturally maintains the softness, elasticity and color of fabrics. In comparison to laundry detergents, clothes and linens will last like new, much longer. Safe and effective for cloth diapers. Simply toss it in the washer with your laundry! No more measuring, spills or accidental ingestion risks for children and pets. Compatible with all high efficiency (HE) and traditional front and top loaders. Safe for septic systems. Watch our video and discovery why people are making the switch from detergent to our revolutionary alternative!